As I mentioned yesterday once we broke that low of the day in the afternoon, I was not very interested at another attempt until we got to 1175ish. 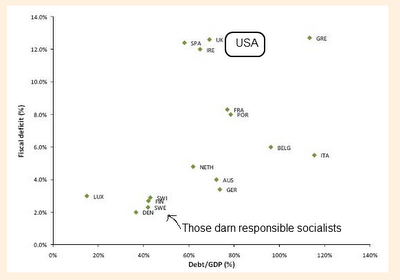 You can see why from the chart below. If bulls can't make a stand there, frankly it will be amazing but we are seeing liquidation and emotional selling at this point. Good for those of us with patience and who preserve capital but still quite awe inspiring to watch. By standing to the side with lots of cash in times like this, you are going to (mostly) miss the glorious day we reverse but you will not have huge losses to make up. So you really don't need to catch the bounce like all the people swimming in horrendous losses the past 3 weeks. 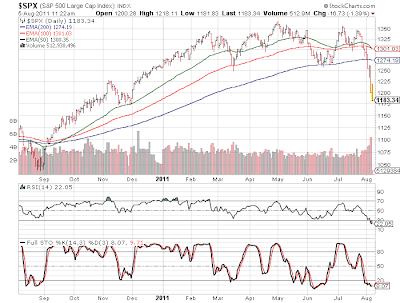 Just like overbought markets can remain overbought, so can oversold. It seems more so nowadays with the dominance of the HFT crews. Every single secondary indicator is flashing massive oversold and "reading not seen since 2008 or 2009" but those of you who lived through 2000-2002 and 2008-early 2009 know, things like that sometimes don't matter. If 1175 breaks, I really don't see much in the way of support for a while because the QE2 rally made the market go up vertical without building any support along the way. 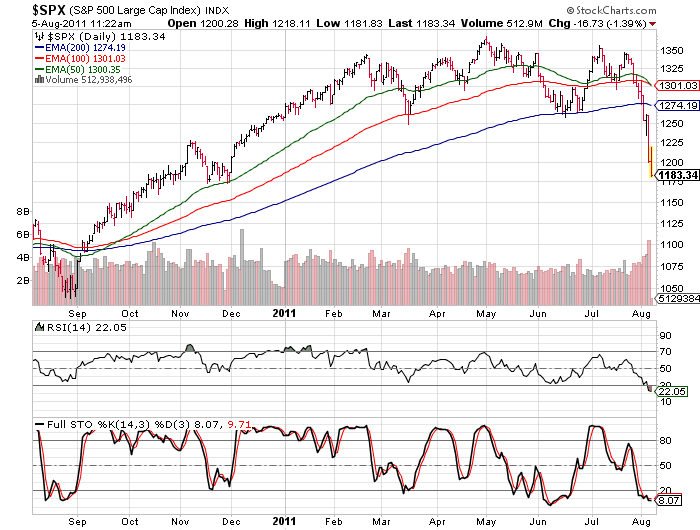 1125ish is the high of August 2010, and that's 50 points below 1175. That said, for those newbie technicians this is an excellent example of a head and shoulders formation that 'worked' once the neckline was broken. There was a similar occurence last year but we had a strange situation where it did not work - I don't remember the exact circumstances, I just remember having to reverse course 180 degrees at the time. Whatever the case there is really no argument for fiat currencies - at least those of the big 3 - yen, dollar, or EU - 3 ugly ducklings who have been in a race to the bottom since 2008 and from this point of view will be for much of the next decade. Hence... gold.